Gareth Bale’s Real Madrid have been drawn against arch rivals Barcelona in the semifinals of the Copa Del Rey. The draw was held today (February 1, 2019) at 13.30 CET. Real advanced to the last four after beating Girona in the quarters, and will play a two legged semifinal against the reigning holders. The first leg will be held on 6 February, 2019, with the return taking place three weeks later. 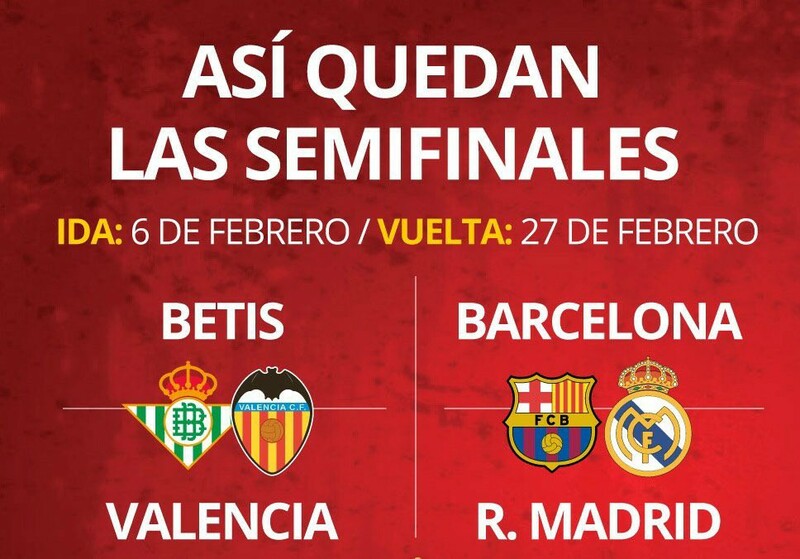 The other semifinal pits Real Betis against Valencia. The CDR semifinal draw means that Real and Barca will do battle thrice in the space of a month, with the two rivals also set to meet in the league on March 2. This entry was posted in News and tagged Barcelona by grtbal. Bookmark the permalink.